This is the sparkly number I wore to ring in the New Year last week! 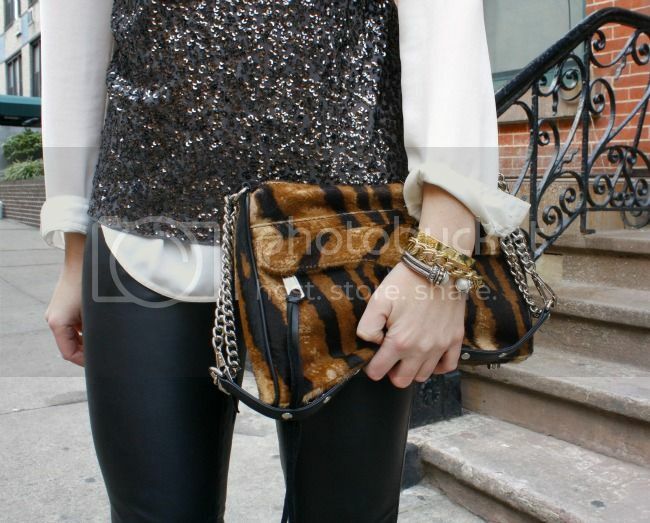 I wanted to enter 2013 with a stylish bang and I think the sequin/leather/leopard combo did the trick! I am absolutely obsessed with these faux leather jeans from H&M and I can't believe I waited until I went all the way to Nevada to wear them! I seriously picked them up back in November. I know, it's just cray. Anyway, what did you wear on New Years?! I'd love to hear in the comments below! Great outfit! Especially love your faux leather leggings. Thank you!! I am so obsessed with them! I want to wear them all.the.time! 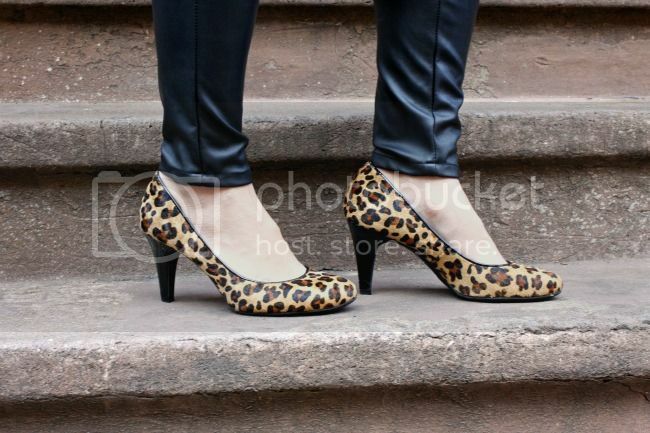 sequin, leopard, leather . . oh my!!! LOVE this look. You're too funny!! Haha - thank you for reading! I wore that blouse on New Year's Eve too! We had a more casual evening, so I just put it with a slightly sparkly knit scarf - but I love it layered with a sequin tee! All around glamorous with all your texture/pattern here. This blouse is probably my new favorite blouse!! I've been dying for a good white blouse but didn't want to spend money on silk (and dry cleaning!) and this is a great alternative! Thank you so much :) and thank you for reading! Please allow me to comment from a guy's perspective and tell you how much I adore the intense beauty of your sweet smiling face, and the luxurious feminine curves of your high-heeled legs.